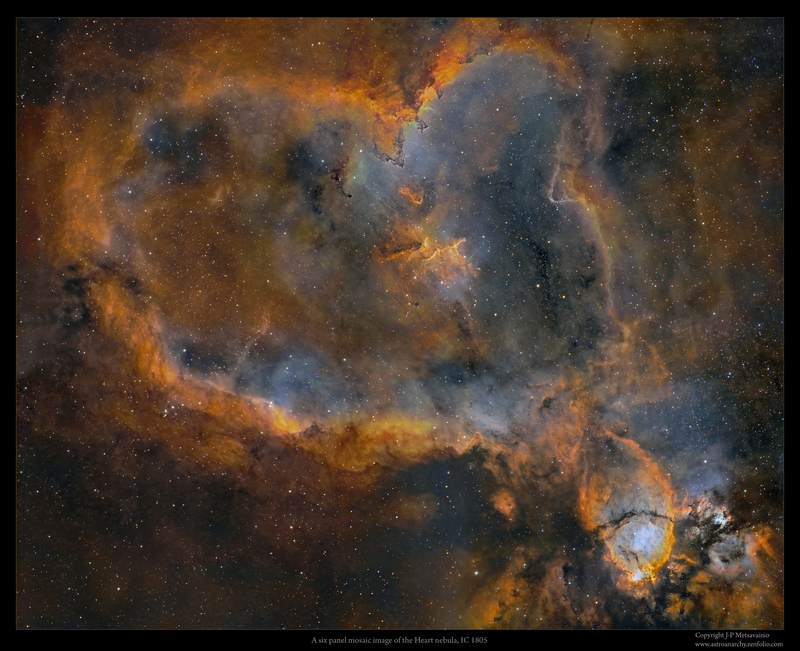 Melotte 15 area at the heart of the Heart, IC 1805. 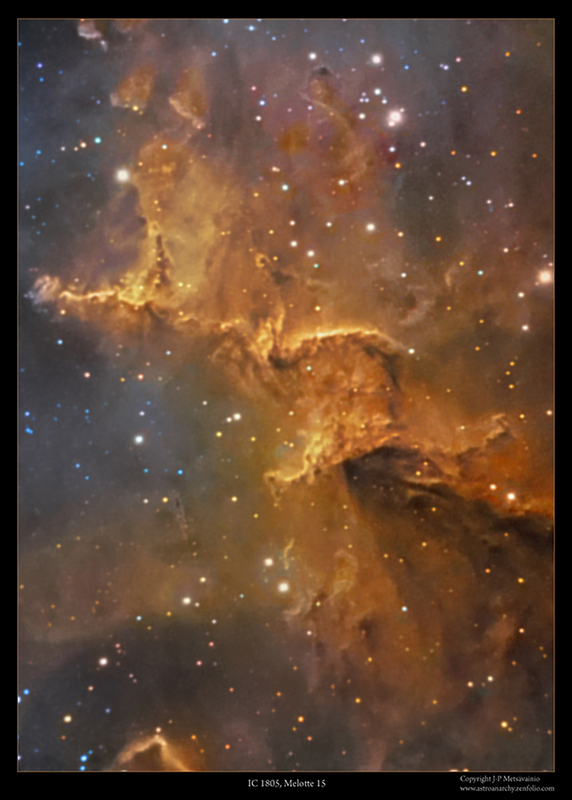 Image is in mapped colors from an emission of the ionized elements, H-alpha, S-II and O-III. 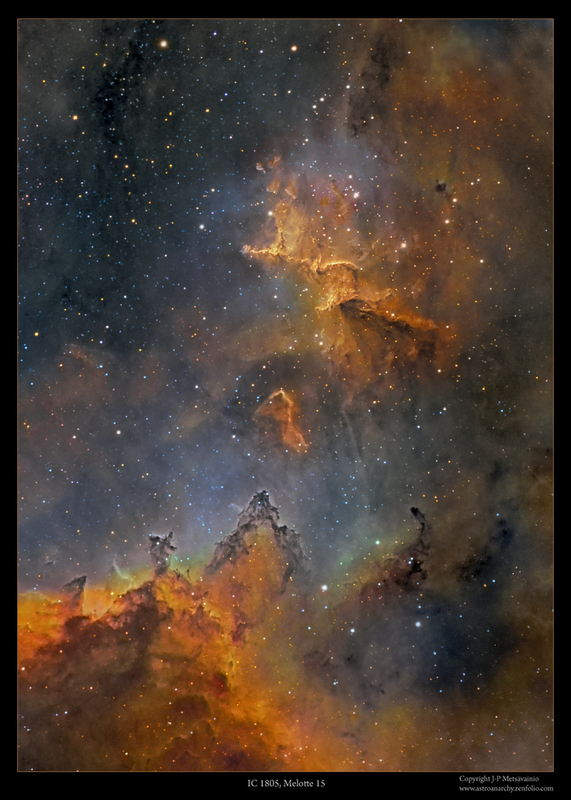 The whole large mosaic of the Heart Nebula is at the same resolution.